CINCINNATI — After an investigation that began in 2014, four people have pleaded guilty in federal court to charges stemming from the sale of stolen Puerto Rican identities in Cincinnati and Fairfield. Oris Mercedes Baez Ramirez, 50, of Hamilton, Ramon E. Fuentes Morillo, 50, of Puerto Rico, and Cipriano Diaz, 39, of Cincinnati, and Chilango Zuniga, 40, of Hamilton, were convicted March 31 on mail and wire fraud and aggravated identity theft charges. Morillo and Diaz also pleaded guilty to money laundering. Five other co-defendants, four from Cincinnati and one from Hamilton, will proceed with their cases in court. 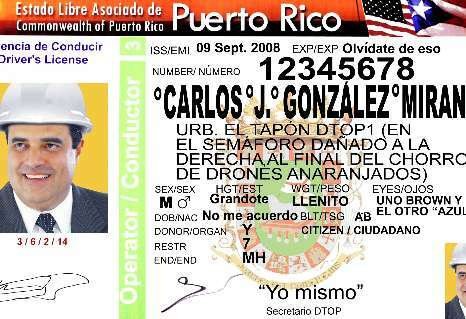 Prosecutors argue that the nine people charged in the case created Puerto Rican birth certificate and social security cards using the identities of real Puerto Rican residents and then sold them for profit locally. Undercover agents reported to the court they made their first purchases of the illegal documents from the suspect on Aug. 20, 2014 in the parking lot of Taco Loco in Forest Park. The agents said they paid $1,100 for the papers. Over the following eight months, agents stated they purchased at least eight more sets of documents by contact the suspects and specifying a gender and age. In the parking lots of Koch Foods, Mi Familia, Taqueria Mercado in northern Hamilton County and Fairfield, they said they paid between $900 and $1,100 for each set. The investigators state the documents were sent directly from Puerto Rico. They argue the defendants tried to avoid detection by using fake names on the document packages they sent via Priority or Express Mail to various addresses, and used wire transfers to move money to and from Puerto Rico in order to purchase more documents. Conspiracy to commit mail and wire fraud and money laundering are crimes punishable by up to 20 years in prison. Each count of aggravated identity theft carries a mandatory two year addition to sentences for the underlying felony offense. Ramirez and Morillo were each convicted of four courts of identity theft. Diaz was convicted on two counts, while Zuniga was convicted on one count. In September, a federal grand jury has indicted nine people — three of whom are from Ohio — related to trafficking of Puerto Rican identities in the Cincinnati area. The indictment alleged the defendants are linked “in a vast document trafficking organization” where they allegedly obtained birth certificates and Social Security cards in the names of real individuals from Puerto Rico. They shipped those fake documents to Ohio to be sold in the Cincinnati area. The document sets were reportedly sold for $900 to $1,200 each. Each defendant was charged with conspiracy to commit wire and mail fraud, which comes with a maximum 20-year prison term. The indictment also includes 29 counts of aggravated identity theft, which comes with a mandatory two-year prison term for each count, and two counts of money laundering, which carries a maximum sentence of 20 years in prison. 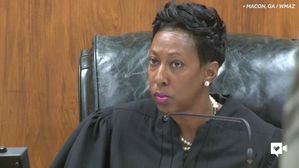 The federal judge in Cincinnati.